Regardless of where you are going and what you’re doing, you’ll definitely need something to keep your drinks and food cool along the way. Coolers can help during a short day trip and can help more during longer trips. But in order to make sure that you get something that does what you need, you’ll need to know the best coolers out there. We’ll be going over some of our favorites and even providing you with some advice on the kind of coolers that are available to you. 7.0.1 1. How long will things stay cold in my cooler? 7.0.2 2. Can you put dry ice in a cooler? 7.0.3 3. Can you use a cooler to keep hot foods warm? 7.0.4 4. Why are some coolers hard to open or use at first? 7.0.5 5. Why should I consider a cooler that has thicker walls? 7.0.6 6. 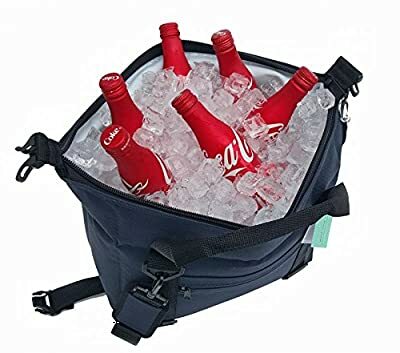 Is there a type of cooler that works great for everything? 7.0.7 7. Why should I spend more money on a cooler? Because there are so many coolers out there, you will have to take some time and look at the coolers that will probably suit you the best. We’ve gathered 10 of our favorites to help you decide on find some that are good examples of ones that you can get. If these ones aren’t exactly what you want, then you’ll be able to find similar models of varying sizes. 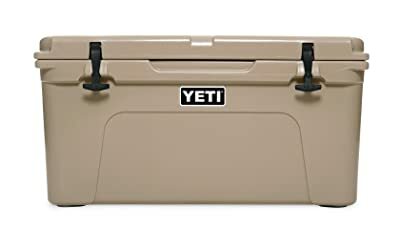 When you’re looking for coolers, people all over the internet and in real life will tell you to consider the YETI coolers. This particular model is going to keep everything that you have very cool. It’s so well insulated that you will be able to put dry ice into the cooler without worrying too much. This is great news for people who want to keep everything extra chilly in their cooler. Because of the brand and how well it is made, this cooler is on the expensive end of the products we have. However, you shouldn’t let that dissuade you. This one will work great for people that need quite a bit of storage, but don’t need to travel with the cooler. It will be a bit heavier than the others. You’ll definitely be able to move it in and out of your car, but it isn’t one that you would probably want to take on a hike. This cooler will really keep things cold. You will also be able to count on the durability of this product. It has thick sides which will be better insulated. It is rather expensive compared to other coolers. This model isn’t that easy to travel with. You’ll have to include an extra 29 pounds when you think about how it will feel to carry it. 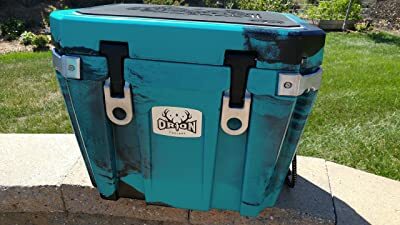 This ORCA cooler is going to be just as good as Yeti coolers. Of course, some people will find that the cooler won’t always work for them. You have to make sure that you pack it in a way that will keep your beverages and foods cold. As long as it is well packed, this particular cooler can really make sure that you’re able to do well during your camping trip. It is also pretty sturdy and well made. This means that it will last while you’re out in the woods. 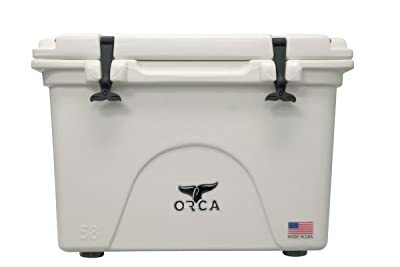 However, just like Yeti coolers, this ORCA one is going to cost a pretty penny as well. But it can be a good investment for people who like to camp a lot. 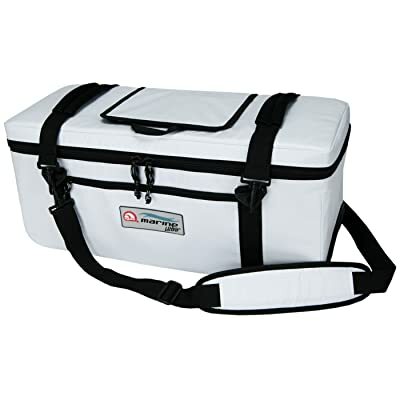 This cooler is well insulated and can help keep things cold over a longer camping trip. It is also capable of using some additions and accessories to customize how the inside and outside of the cooler can store things for you. The cooler also requires quite a bit of storage space, which makes it great for people who are going on longer trips that will need quite a bit more food. It is still as expensive as the Yeti coolers of a similar quality. Some people have had issues with the cooler needing to be refilled with ice on regular basis. 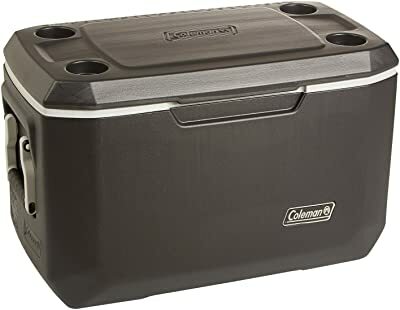 Coleman is known for making sturdy products and many people will also enjoy the fact that this cooler won’t break your bank. It can function just as well as some of the higher quality coolers out there. It even has a lid that has cup holders. This makes it great for on the beach. You’ll be able to keep your drinks safe and sound even when you’re sitting around. At the same time, all of your drinks will stay nice and cold as well. The cooler is pretty big and can work for a variety of different drinks and foods. You’ll have a handy lid that has cup holders on it. As well, the price is much less than other coolers that you will find out there. While it is more affordable than some coolers, it will still be a little bit more expensive than some people will want to pay. Doesn’t have wheels which could make it much easier to travel with, even at the beach. Doesn’t have the best seal. While it will work great for most things, it may not prevent warming as well as the other coolers. Many peoplemay think that a small cooler is good for lunch or a picnic. However, a small cooler can be a great compliment when you are using a larger cooler as well. In fact, having something small for some of the overflow or some of the more fragile foods that you want to keep safe. Small design that is really easy to carry around. The cooler can fit at least 6 cans still, which is quite a bit. Very reasonably priced for a small cooler. Won’t work for more than a personal meal. This cooler might not seal as well as larger, more expensive coolers. Despite the fact that this cooler is soft, you’ll find that it is quite solid. You won’t have to worry too much about being able to fit things in this cooler. In fact, it might be easier to carry because there will be a strap that will fit across your body a little bit better than the solid handles that are typical of the hard side coolers. Decent price compared to other, similar-sized coolers. Sturdy materials that will make sure that the bag lasts much longer. Easy to carry because of the carrying straps. The fabric may fall apart after a full season of use. May leak if you have just ice in the bag as a way of keeping it cold. When you’re looking at soft side coolers, you’ll want one that can really handle a lot. This particular cooler is made to be sturdy inside and out. That is one of the biggest problems that you will run into when you’re using a soft side cooler. Because this one is designed to survive more abuse, you’ll find that it is a little bit more expensive. However, when you compare it to coolers that are of a similar size, but hard sided, then you will find that it isn’t that bad. It is also easier to carry with the straps that it has attached. Straps attached to the bag make it much easier to carry around. The bag is durable inside and out. Reasonably priced compared to similar size models. Because of the design, it may not keep things as cool for as long as a hard side container would. Not as much room on the inside as most people would like. This cooler is a little less expensive than other options that are out there, which is nice. But it has a solid construction. In addition, you will be able to change how you organize foods inside with the dividers. This means that you can divide food and drinks from each other to make sure that everything is kept in such a way that they are easy to access. Solid design will keep everything nice and cool for a very long period of time. Better price than most Yeti coolers, but still of a similar quality. Some people find that this cooler breaks down sooner than a Yeti. If you have problems with the product, customer service might be harder to reach. 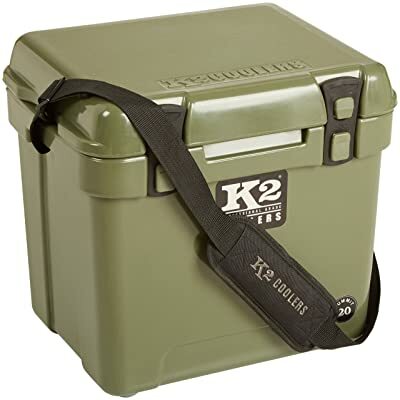 This cooler by K2 coolers is the right size and right style to really make sure that everything turns out great on your next road trip. This cooler will fit easily in the car. It may not last multiple days, but it can at least last a day so that you can replace the ice at the end of the day or before the next day of traveling. You don’t need something as sturdy as you would need for camping. So this one isn’t as sturdy, but it still works really well for traveling. Nice size for putting in the car. It will work for the right length of time for a road trip. Can hold enough for a day of travel and eating. Doesn’t seal as tightly as other coolers which is why it doesn’t keep ice as long as other coolers . Can leak when it isn’t at the right angle or isn’t sealed properly. This cooler by Ozark is meant to stand up to the test of time when it comes to keeping your food and drinks cold. 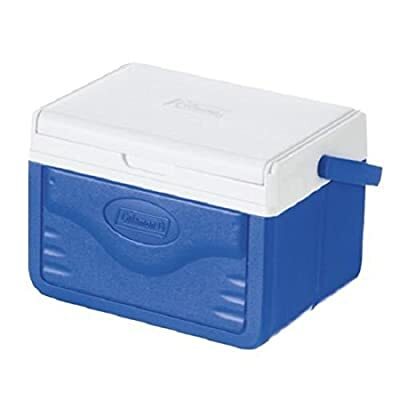 Of course, the cooler will still struggle at times depending on what is packed into it or how well you have closed it. But in general, the cooler will keep everything really nice and chilled out for many days. This can be a great cooler if you are worried about major events like hurricanes or a really long camping trip. Large space to fill with a lot of food or drinks and ice. Has a solid seal that will make sure that all of the cold stays inside. It also has really thick insulation. Not quite as sturdy as some Yeti coolers and other high price coolers that are out there. Depending on how it is packed, the cooler may not last as long as it is advertised to. This cooler isn’t just designed to work well in overall, but it’s designed to work in rougher situations. 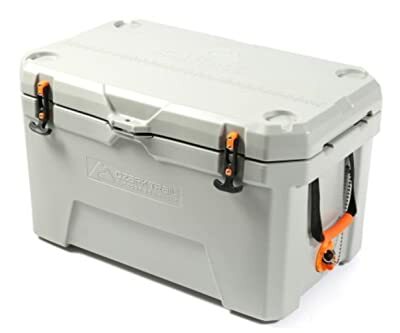 This particular kind of cooler is made to work for people who kayak and hike often. That means that you’ll be getting a cooler that can handle a lot without costing you an arm and a leg. The biggest downside of this cooler is that it is a little bit smaller, but it is still a fantastic cooler for the price. Very reasonable price makes it a great option. Is built to withstand some rough conditions. This cooler will keep your drinks and food cold as well as some of the more expensive brands. The cooler is a little bit smaller. It might not last as long as some of the other coolers. There are a ton of different coolers out there, but there are two particular types that you should keep an eye out for. There are the hard sided and the soft sided versions. Each one has pros and cons for normal use that we will be talking about. Just keep in mind that what you want might depend on what you’re doing. Hard sided coolers tend to work for overall purposes, but the soft sided coolers might suit you better as something that is easier to store. Hard side coolers are fairly common. They are usually made out of a plastic. There are versions that have a little bit thicker sides or use certain materials inside of the plastic area to try and make sure that the contents stay at the right temperature. These come in a range of sizes, but you will find that the hard sided ones come in larger sizes. These coolers work well for all sorts of purposes, but they are a bit harder to store. They won’t fold down and they normally take up the same amount of space. If you are trying to find a way to make them work for you when you’re not trying to store cold items, then you might be able to use them as temporary storage inside of your home. When you think about soft-sided coolers, you are likely to think of smaller ones that are intended to be used as lunchboxes. However, that isn’t the only purpose that these coolers can have. There are some larger ones that you will be able to find. The advantages of having one that is quite a bit bigger is that you won’t have to suffer from a case that will be hard to store. Soft sided coolers can work really well in specific situations, but you might not always want something like this because it won’t protect the softer foods that you put in there. Picking out the best cooler is always a difficult process. You’ll have to consider a bunch of different things when you’re choosing them. We’ll go over the most basic things that you can look at. You might find extras that are based on what they are intended to be used for, but you may not always need those. Extras or coolers that are designed for very specific purposes can mean that you’ll be paying a little bit more. Just keep that in mind when you’re looking for coolers. There are a lot of basic coolers that will do everything you need that will also cost less. Outside of style choices and extras that are specific to different uses, there are several categories that will work across all of your options. You may think that the style options are going to be limited to simply the two styles of soft and hard sided options. But there are other options that are available to you. The style might change depending on the size that you are getting. You’re going to find that there are some designs that are built specifically for outdoor use while others aren’t meant to be beat up that much. There are some styles that are built to go places as well and may come with wheels. Those options will get you to places that other designs won’t work. Just make sure that you choose a style that fits what you’re doing. The soft side versions will work well as a lunchbox that will work well for day-to-day use. A soft sided one might not work as well for some people that are planning on taking something a further distance or in a rougher area. There are different coolers that are made to work for specific purposes. You’ll find some specific ones that are made for very specific purposes. This is sometimes found in the different types of constructions. Some of them are made to be more rugged, especially if you are taking the cooler while hiking or in a canoe. Some are made to be of more general purpose use, so they won’t be quite as specialized. This is good news for some as this also means that they are more likely to cost less. However, it does not mean that they might not hold up to as much if you are buying it to actually use it. Of course, it might also hold up for a long time regardless of how you use it as long as you are making sure to clean it out and really take care of it. 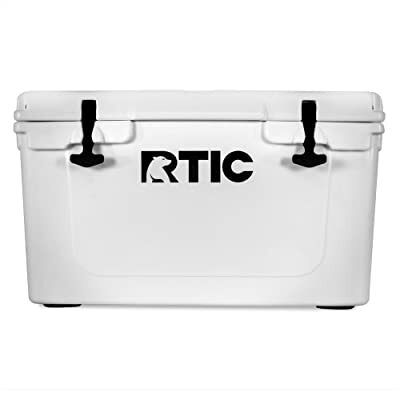 This can be an incredibly important factor when you are looking for a cooler that you can take with you for a trip with a ton of different people. If you know that you’ll be using the cooler often for large groups, then getting a larger cooler can be incredibly important. However, if you aren’t going to use it that often or use it for large things that often, you might want to consider getting something that is a bit smaller. You can always get a second small cooler if you need a bit more room in the cooler. It might be a little bit annoying at the moment, but it can mean that you’re spending less at one time. Of course, the biggest factor that you will face when it comes to getting a cooler is the fact that it will cost you some money. Getting something that is built a little bit sturdier or built out of more durable materials is going to cost you a bit more. Any extra features will also cost more. For some people, these extras will be worth all the money. For others, these extras won’t matter that much. You’ll have to figure out what you really need and what you don’t. There are many extras that might be considered more frivolous such as the outer design of the cooler. But make sure that you focus on what is most important for you. When it comes to using your cooler, there’s a lot that you will need to know about how you use it. You may think that it’s as simple as putting in some ice packs and then your drinks or food. There’s a little bit more to it than that. When it comes to packing your cooler, you will want to make sure that you’re laying everything correctly. The layers will help make sure that there are a lot of cooling elements throughout and also make sure that you are crushing things in the cooler. Often, you should start with the heavier or bulkier items on the bottom like any cans and larger items. This makes sure that your heavier items get settled. By putting the lighter things on top, like any vegetables or bread, you’ll make sure that the food isn’t crushed or destroyed. Of course, you will also need to make sure that you put the cooler in an area where the cooler won’t roll around. Overpacking can cause a lot of problems when you’re using a cooler. The soft side coolers might be able to handle a little bit more because they will be a little bit more flexible. However, even with a soft side, you will want to avoid putting too much into your cooler. Putting too many items inside the cooler can prevent your cooler from actually being able to keep things cool. In fact, it might mean that some items won’t be that cold because of the fact that it might also prevent the cooler from closing. Make sure that you’re able to close and secure the cooler when you are using it. Of course, one of the best ways to make sure that your cooler is usable for a long period of time is by making sure that it is clean. Cleaning out the cooler will make sure that you are able to keep it around longer. If you don’t clean out your cooler by washing it, then you might see mold growing on it depending on the area where you live. You don’t have to clean the cooler every week or every month. You might want to just clean it a couple of times every year. You may want to clean it more often if you are using it a lot more often. While cleaning the inside is incredibly important, you will want to make sure that you are get the outside cleaned as well. If you are taking the cooler to a lot of places, then dirt and grime might be getting on the outside of the cooler. Washing the outside of it will also make sure that it doesn’t make the area where you’re storing it dirty as well. When it comes to keeping your items cool (or warm), coolers can help you a lot. It can make your life a whole lot easier. You’ll be able to take a delicious meal with you for a picnic or preserve foods while you’re out camping. A good cooler will be able to last you for a very long time, so you need to take the time and invest in one that will probably suit you for as long as possible. 1. How long will things stay cold in my cooler? This is a really varied question. There is no way that we can answer it for even one individual cooler. You’ll find that how long things stay cold can depend on the insulation. It can also depend on what you’re trying to keep cold. Because it is so varied, you’ll have to approach each cooler with the mindset that it could be great or terrible. As long as you pack the cooler well, then you’ll find that it will work well. 2. Can you put dry ice in a cooler? You can in some coolers. This isn’t true for every single one. You will want to avoid putting dry ice into soft side coolers. It can make the material brittle and make it very easy for you to break the cooler apart by accident. However, many hard side coolers will be able to handle dry ice. You’ll find that some are better equipped because of how thick the walls are and how it is insulated. For instance, many Yeti coolers will be able to handle dry ice. If you are looking at a particular cooler and want to know if it can handle dry ice, then you may want to look at the company’s individual statements. Some will tell you that it can. You might also be able to find videos online that will tell you about whether or not the cooler can handle it. Reviewers like to try a lot of different things, so use the internet to look at the particular models that you are interested in. 3. Can you use a cooler to keep hot foods warm? This might not be something that you consider when you’re looking for coolers, but it is absolutely true that you can use a cooler to keep hot foods warm. This is more typically true of hard sided containers, but some soft sided coolers can help with this. This can make it easier to transport food to your next family gathering. Instead of having to carry a crockpot with you, you’ll be able to put the food in the cooler and make sure that it’s nice and warm when you set it down on the table. 4. Why are some coolers hard to open or use at first? Like with anything brand new, the cooler hasn’t been used at all. You’ll find that shoes, bags, and many more items need to be used a little bit before they actually are easy to use. A soft sided container will have this issue more often than a hard sided cooler, but it isn’t something that you should be worried about. Give the cooler some time and it will be easy to open and use. Of course, if the container is more than just stiff and is actually almost impossible to open, then you should contact the manufacturer and see if there’s anything you can such as getting a replacement or finding a way to break in the cooler. 5. Why should I consider a cooler that has thicker walls? When a cooler has thicker walls, it means that the container is going to be a lot more insulated. The actual amount of insulation will depend on the material that is used within the walls as well, but generally thicker walls will mean that things stay at the right temperature for longer periods of time. It does mean that you might end up spending a little more money for a bigger container or just for the thickness of the walls, but it can be really worth it in the long run. 6. Is there a type of cooler that works great for everything? No. While some coolers are better than others, you probably won’t find a cooler that will work for every single situation. Sometimes you might need something smaller. Sometimes you might want something that can fold up when you’re doing using it. There are tons of options because there is no particular cooler that will work best. You’re going to have to do your best to see if you can find one that suits you the best. If you find that it’s not going to work for a certain situation, then you may need to buy another one. If you are getting it for a particular purpose (camping, kayaking, parties, etc. ), then you’ll want to choose something that will work better for those situations. You can get a middle of the road, medium-sized cooler that will work for most things, but it won’t necessarily be the best. 7. Why should I spend more money on a cooler? Spending more money on a cooler means that you’ll be getting better materials or a more durable product. Thicker walls can also cost more. This means that you will be paying more for the materials of the cooler. In general, a more expensive cooler will last quite a bit longer. It will also be able to keep your food or drinks cooler for longer periods of time as long as you pack it correctly. Of course, if you aren’t able to spend a ton of money on the cooler, there are still great options that you can get. As long as you maintain those coolers, they’re likely to hold up for longer periods of time as well. You’ll have to balance what you want to pay for the features that you want to have.